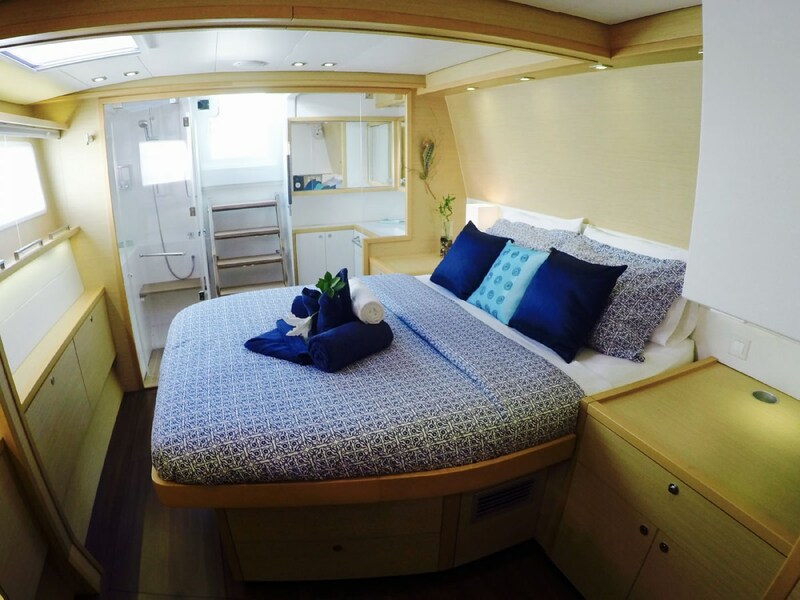 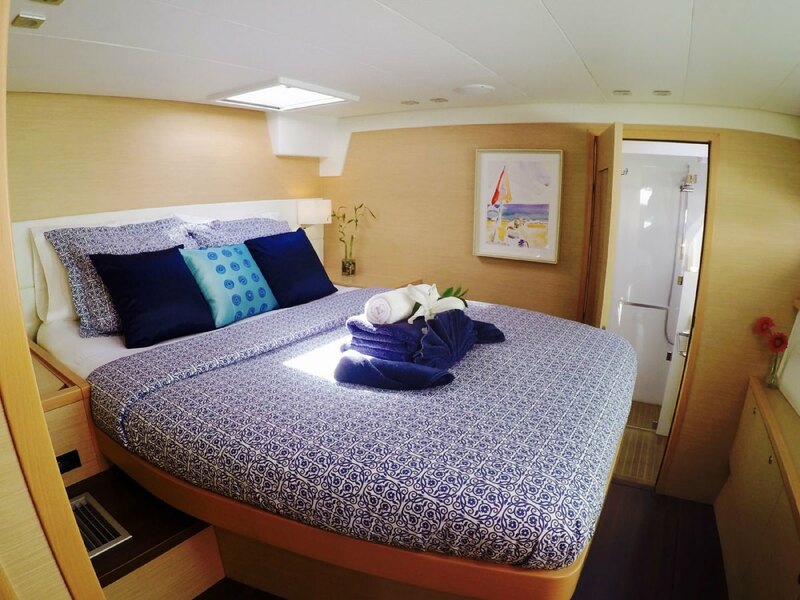 BLUE MOON offers 3 queen guest staterooms each with ensuite head and shower. 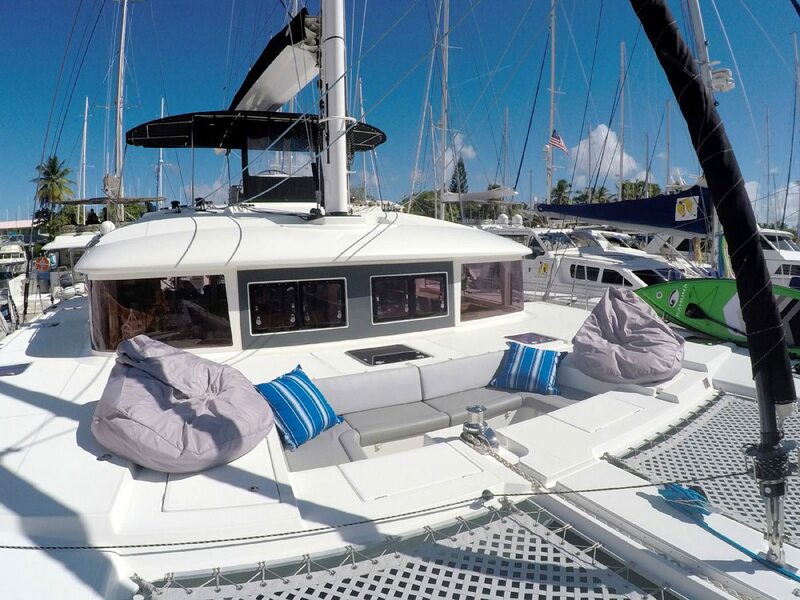 Beautiful fly-bridge lounge area, spacious cockpit and forward trampoline area offer multiple options for lounging. 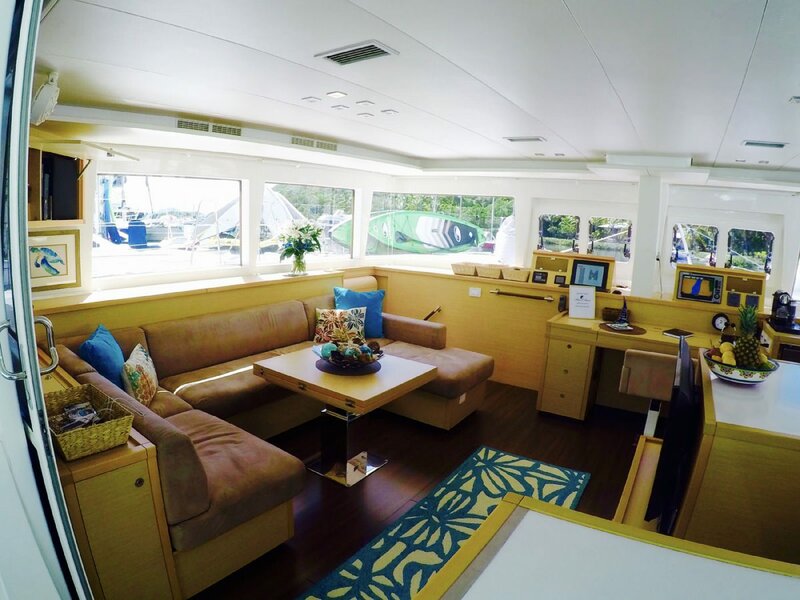 Yacht is fully air-conditioned for guest comfort. 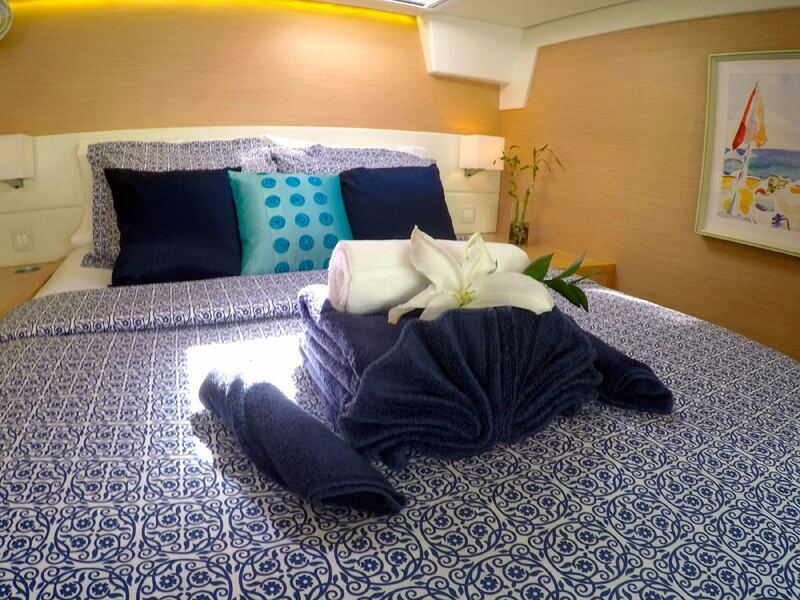 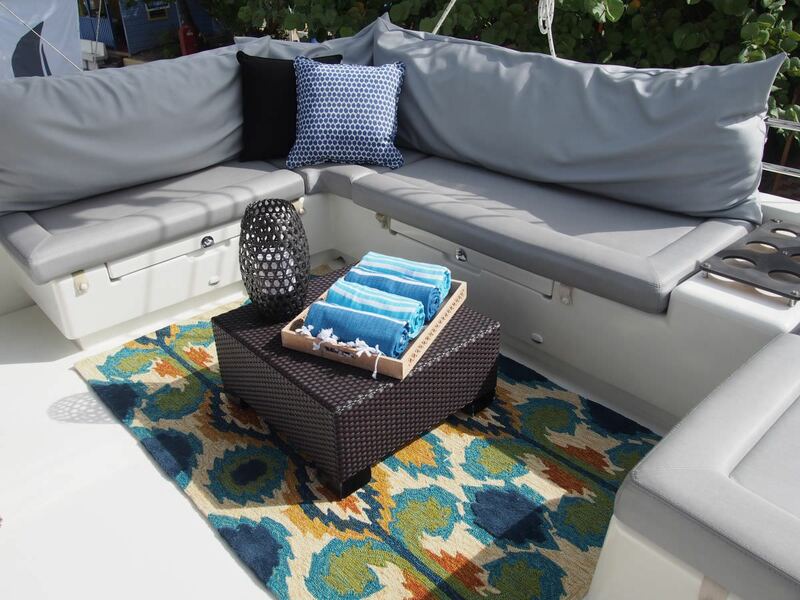 This yacht can accommodate 6 guests in 3 spacious queen size cabins each with private ensuite head and shower stall. 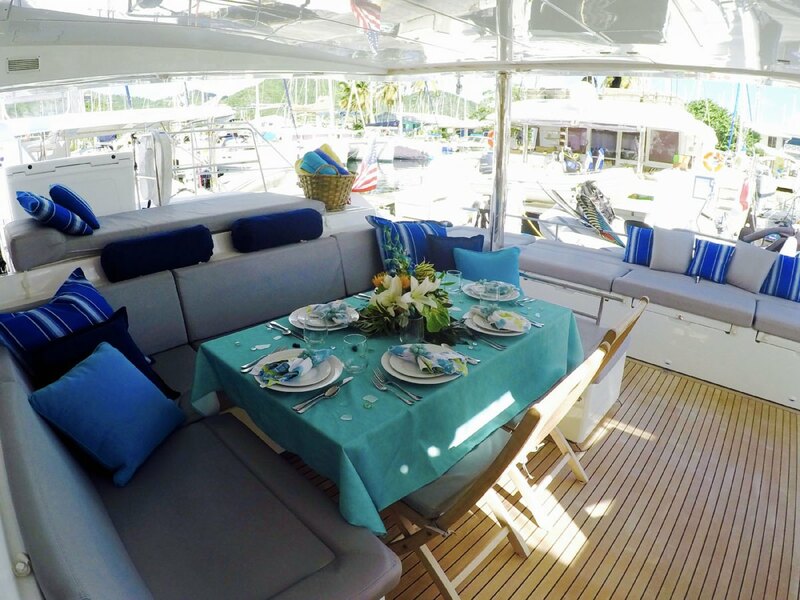 Top deck fly-bridge lounge area. 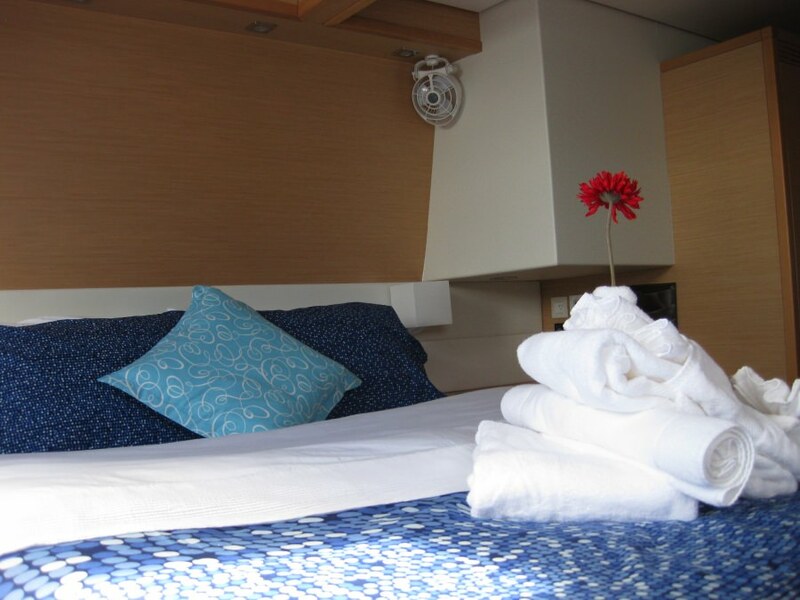 Yacht is fully air-conditioned at night for guests comfort.